Ok… so I know I’ve been a bit of a slacker in posting lately. Truth be told life is just plain old insane these days. I SHOULD be sleeping as I have a trying day tomorrow. Having surgery AGAIN for those pesky kidney stones. Hopefully this will do the trick. Aside from that I’ve been busy working away at my full time job. And starting a 2nd job which I’ve not yet been able to do as of yet thanks to the pesky kidney stones. What do ya think? I’m really liking it 🙂 So… if you’re feeling curious, stop on over to Mae Street Designs and see some of what I’ve been up to! Lots more will be posted in coming days. You know what else I’ve been up to? 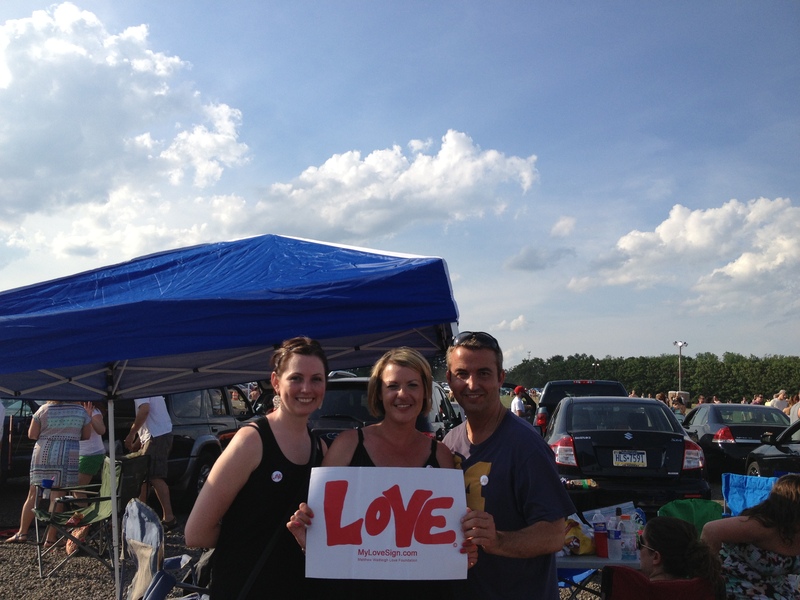 Loving on my favorite band… I got to see the Dave Matthews Band perform in Pittsburgh last weekend and as always, I was left without words. From the incredible people I spent the day with from ALL over the world ( seriously, there was a fella at our tailgate that was from Austria), to the beautiful weather to the AMAZING sounds of DMB, I couldn’t have been happier. I was PROUD to be representing the Matt Wadleigh LoVE Foundation the entire day… Spreading Matt’s message of LoVE, kindness and generosity was a huge honor. Sharing his story truly touched my heart in ways I can’t even explain. 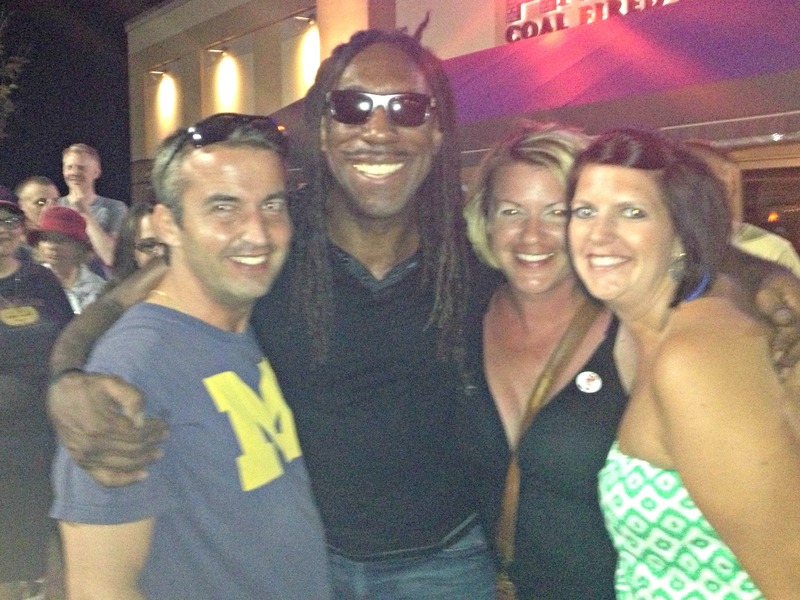 Matt was a HUGE DMB fan and his story has greatly touched and inspired the entire DMB Family. I got to see my friend Boyd again… It had been since December and the welcome I received was just awesome. Words don’t describe how kind and genuine this guy is. So very lucky to be able to call him a friend. There’s a ton more that I want to say and need to say about so many experiences I’ve had and people I’ve met in the last year. All thanks to this music that I love. But THAT is deserving of it’s own post in its entirety and I’m not ready to do that just now. BUT if you would be so kind… as to help me out. It’s a tiny favor. A wee little favor. I’m going to post a link… All you have to do is click the link. Click it every day from now until June 23rd. Every time you do it gets me one vote closer to a chance to meet Dave Matthews himself… If you know me, you know how big this is. So PLEASE, click the link below. HELP MEGAN MEET DAVE MATTHEWS!!! That link right up above… go on click it. Share it with your friends… Help a girl out. PLEASE AND THANK YOU!!!! Thanks so much love bug xoxo Love you too sweets!